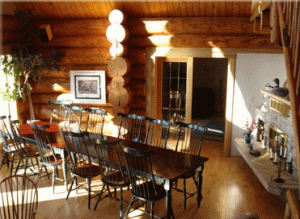 Opened in 1997, Inn on the Lake Whitehorse offers a natural log structure that affords luxury accommodation and lifestyle pursuits in a retreat -like setting. Enjoy our guest suites and relax in the library, great room or solariums. 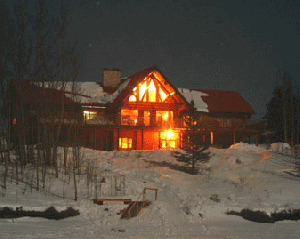 Also enjoy the outdoor hot tub and sauna, work out in the fitness centre, or simply experience Yukon's natural offerings. From our spacious deck areas you can overlook the pristine frozen Marsh Lake and the snow covered mountains on the horizon. In summer, on the shore in front of Inn on the Lake Whitehorse, your canoe and kayak awaits you. Walk out from one of the Inn's many decks areas to the clear water of Marsh Lake. Enjoy a paddle in Yukon's nature and sure to bring your camera. 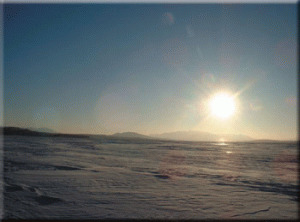 In winter, the Yukon is known for its clear winter days. February and March are spectacular months to experience winter magic. After a day of snow shoeing, cross country skiing, back country or down hill skiing, dog mushing, or snow mobiling why not relax in our outdoor hot tub or sauna? Make sure to try Ice fishing, and tubing. Please visit Inn on the Lake Website.